We asked our readers to name their favorite subscription boxes of 2019, and they delivered! See all of their top picks here, or read on to learn which boxes our readers turn to for the latest and greatest in makeup, skincare, and more! Beauty boxes make it convenient, fun, and affordable to nab the hottest trends in makeup, skincare, haircare, and beyond. If you’ve been considering trying a beauty box for yourself, start with one of these recommendations from our readers! 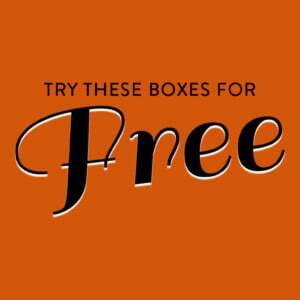 From premium brands to cruelty-free picks, you’ll find a box to match your tastes here! These boxes range from $5 a quarter to $49.95 a month. Whether you’re trying to build up a makeup collection and stay on-trend, or simply try skincare products to find what’s right for you, there’s a box on this list– recommended by our readers and subscribers. The Cost: $10 per month. Subscribe here! About the Box: Ipsy is one the most popular boxes we cover on My Subscription Addiction! Readers love the variety (high-end and drugstore products, makeup and skincare, beauty tools and beauty products) and personalization they get from this super affordable subscription. Check out our Ipsy reviews and Ipsy spoilers to learn more! Ships to US and Canada. The Cost: $21.00 per month. Subscribe here! About the Box: Boxycharm routinely wows its subscribers with lots of high-end brands and plenty of full-size products. (At least 4 of the 6 items you get each month will be full-size!) In addition to amazing cosmetics like eyeshadow palettes and trend-savvy lip color, BoxyCharm also provides skincare products, beauty tools, and other fun finds. Check out all of our Boxycharm reviews and Boxycharm info to learn more. Ships to US and Canada. The Cost: $15.00 per month. Subscribe here! COUPON: Save $5 off your first box when you use this link! 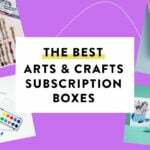 About the Box: This subscription brings the fun of Allure Magazine to life with its monthly selection of premium samples. You can expect top brands, trending ingredients, and must-try formulations, all for an amazing price! It’s a great way to try popular products before you buy. Check out all of our Allure Beauty Box reviews and Allure Beauty Box info to learn more. Ships to US. The Cost: $10.00 per box. Subscribe here! 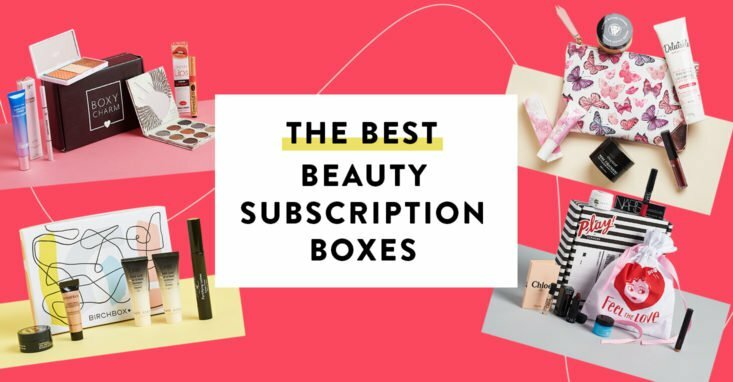 About the Box: Sephora’s wonderfully affordable subscription box lets you try some of the top names and products in beauty, including effective skincare, statement-making makeup, and luxurious haircare. In addition to a monthly assortment of deluxe beauty samples, subscribers also get a fragrance sample, a PLAY! Book of tips and tricks, a cute bag to store your new finds, and a PLAY! Pass for in-store learning and 50 extra rewards points! Check out all of our Play! by Sephora reviews and Play! by Sephora info to learn more. Ships to US. The Cost: $10 a month + free US shipping. Sign up here! COUPON: Check out the latest Birchbox coupons to get an offer with your first box! About the Box: Birchbox has been a fave of our readers for years thanks to its awesome assortment of top-notch samples. Choose whether you’d like to know what you’re getting each month or be surprised by Birchbox’s expert picks. Experience all the brands and miracle ingredients you’ve been curious about, and discover amazing new names, too! Check out all of our Birchbox reviews and our Birchbox info to learn more. Ships to US, France, Spain, and the UK. The Cost: $25 per month. Subscribe here! About the Box: Existing Ipsy subscribers can upgrade to this next-level beauty box, which promises full-size products from well-known and up-and-coming brands. Expect pretty palettes, brushes, effective skincare, liquid lip color, and more, all personalized to match your unique preferences! The Cost: $24.95 per month. Subscribe here! COUPON: Click here and use coupon code MSABFIXBOX to save $10 off the March box when you subscribe! What you’ll get: BeautyFix by Dermstore.com is a must for skincare fans. While you will get the occasional makeup item, skin-nourishing creams, serums, and anti-aging solutions are definitely their forte. Best of all, you can expect over $100 in retail value in every box! Check out all of our Beauty Fix reviews to learn more. Ships to US. The Cost: $21 a month. Subscribe here! COUPON: Check our GLOSSYBOX coupon list to get the most up-to-date offers for GlossyBox! About the Box: If you want new full- and deluxe-size beauty products, GlossyBox is for you! You’ll get cosmetics, skincare, and more from notable and under-the-radar brands worth knowing. Check out all of our GLOSSYBOX reviews and GLOSSYBOX info to learn more. Ships worldwide. The Cost: $29.95 per box. Subscribe here! About the Box: NewBeauty TestTube is a fantastic way to discover and try new brands and ingredients. Expect popular brands plus luxurious new names worth experiencing. Your membership also comes with a free subscription to NewBeauty Magazine! Check out all of our NewBeauty TestTube reviews and NewBeauty TestTube info to learn more. Ships to US. The Cost: $7 per box. Subscribe here! About the Box: Each Target Beauty Box features samples of hair, bath, and body products that you can find in Target stores. That means you can try before you buy and learn about amazing products at affordable prices. Check out all of our Target Beauty Box reviews and Target Beauty Box info to learn more. Ships to US. The Cost: $14.95 per box. Subscribe here! About the Box: Looking for a new fragrance? Scentbird lets you try 8ml of a different designer fragrance each month, meaning you can truly experience a perfume or cologne before committing to a bigger bottle of your own. Choose the scents you’d like to try or let Scentbird pick based on your preferences! Check out all of our Scentbird reviews and Scentbird info to learn more. Ships to US. The Cost: $42.95 per month. Subscribe here! About the Box: Get to know the stars of the clean beauty world with Beauty Heroes! Each box introduces you to a new brand of skincare or makeup through one larger “hero” product and one smaller or sample-size “sidekick” product from the spotlight brand. Check out all of our Beauty Heroes reviews and Beauty Heroes info to learn more. Ships worldwide. The Cost: $18 per month. Subscribe here! About the Box: Petit Vour is a fantastic subscription box for fans of vegan beauty. Each monthly mix of products includes sample and full-size items from unique, high-quality brands. It’s a great way to discover ingredient-conscious alternatives to the products you use most. Check out our Petit Vour reviews and Petit Vour info to learn more. Ships to US and Canada. The Cost: $19 per month. Subscribe here! About the Box: This UK beauty box sends subscribers at least 6 skincare, haircare, makeup, and body products each month, all of which center around a specific theme. You’ll also get a copy of Elle Magazine (the UK version). Everything comes neatly packaged in a beautiful, colorful box that’s perfect for storing and organizing your stash. Check out our Look Fantastic reviews and Look Fantastic info to learn more. Ships to US, UK, Canada, and Australia. The Cost: $49.99 per quarter. Subscribe here! About the Box: Margot Elena is the brand behind Lollia, TokyoMilk, and Library of Flowers, and with each Discovery box, subscribers will experience full-size selections from those brands as well as accessories, stationery, and other gorgeous gifts. Fragrance lovers will delight in this luxurious subscription. Check out our Margot Elena Discovery Box reviews or read this Margot Elena Discovery Box info to subscribe. Ships to US. “I love this box so much! I even purchased a year for a friend as their 40th bday gift.” – Angela W.
What You Get: FabFitFun features wellness, style, and other chic surprises, but it’s the skincare and makeup items that some of our readers love best! The full-size, high-quality beauty products often reflect the biggest trends of the season—past boxes have included jade rollers, hyaluronic acid masks, and ingredient-conscious products. Plus, they promise over $200 of value in every box! Check out our FabFitFun reviews or read this FabFitFun info to subscribe. Ships to US and Canada. The Cost: $15 a month. Subscribe here! About the Box: Love browsing the beauty counters at Macy’s? This monthly subscription delivers that experience straight to your door with 5 deluxe beauty samples from top-notch brands, a makeup bag, a bonus item, and a $5 coupon to use online or in stores! Check out our Macy’s Beauty Box reviews and Macy’s Beauty Box info to learn more about this subscription box! Ships to continental US. The Cost: $49.95 every other month. Subscribe here! About the Box: Green beauty fans will love this thoughtfully curated beauty box. Each bi-monthly shipment features unique, beautifully effective clean beauty products from brands you’re sure to fall in love with. Check out all of our Boxwalla Beauty Box reviews to learn more. Ships worldwide. That wraps up our list of the best beauty subscriptions of 2019! Which boxes do you recommend? There should probably be a note that the regular Ipsy glam bag ships to Canada but the Glam bag plus does not. I just subscribed to allure. My box was shipped out yesterday. I really don’t know what to expect. What box would you suggest out of the 15? I’m just getting into makeup and I’m not that knowledgeable. Yeah, the TestTube is the best IMO. I’ve tried Allure and was dissapointed and I like that TT is mostly full-size products plus I’m in luv with the magazine which they send me a free copy of. Haven’t tried Boxy but have friends who weren’t impressed. I think TT is best bang for buck. Fabfitfun is so AMAZING and worth the money. I ABSOLUTELY LOVE it. I have never been disappointed with the items that I receive. I hope you give them a try, you won’t be disappointed for sure.